HELLO AGAIN - It is almost time for our last Eagle Eats! WHERE HAS THE YEAR GONE! And I am late getting this out because of Spring Break - so please don't wait to sign up - do it today! 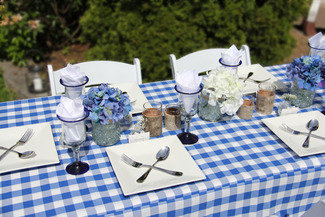 Our theme for this Luncheon is what we are all looking forward to - WARM SUMMER DAYS! The PTSA will provide the main course - baked and fried chicken - and what we need from our fantastic families is all the sides and desserts to go along with - and a few extra hands to help out serving if you can. We would like some layered colorful sides if you are up for it. OR IF you have a different side that you like for summer - please bring that instead of one I have listed! As always, please bring your items to school before 8:00 on the day of the luncheon. If you need to make special arrangements, please contact me! Lunch will be served until 12:30. C'mon out to help and then have lunch with us! Serves 20 - layered one if you can!